Self Portrait started out as a young group of friends who loved rap music. Through constant live shows, the trio has grown into one of the best hip-hop crews in Burlington. They are blessed with unassuming charm, which is part of their appeal. But this is a hardworking, disciplined unit. With their second album, Primal Union, SP have upped their game in a big way. The group's 2014 debut, Always Fresh, Never Clean, felt like a hodgepodge of tracks from a crew with big potential. Fortunately, Self Portrait trained the best aspects from that record — the fun, the left-field creativity — while tightening up everything else. The sound is more focused, but this is still very much a crew of loop-diggers. The beats, all courtesy of Rico James, adhere to a very Madlib-RZA ethos of finding the perfect half-bar groove and ... well, just making a whole song out of that. The simplicity works best with melodic, low-key loops, as on "Oak Street" and "Lost at Sea," both stand-out tracks. Lyricist Trono, who contributes most of the verses here — though James steps in for a few — is very much a product of Burlington's rap scene. The personal and political are intertwined. Calls to unify the community are delivered alongside disses to the proverbial wack rapper. Trono's flow is loose in a Del the Funky Homosapien way — though he's less technical with the syllables. All of which is to say that he's an ideal host for the array of local talent featured here. For all the polish and sheen, Primal Union feels a lot like the open-mic chaos that birthed Self Portrait. The album captures the energy without the chaos. One of Self Portrait's strongest assets is turntablist DJ Kanganade. Showcase track "Corduroy Caviar & the Whiskey Pillow" makes it clear he's a major-league talent as he tears through a Western-themed scratch routine. His creativity and deft touch shines throughout the album. Kanganade works in the margins, echoing the MCs and cutting up the hooks. His work isn't ornamentation; it's central to SP's sound. The finest moment, however, is the second track, "Ulcers." It's a beautifully produced single that features Bless the Child's organic MC Humble contemplating how to live the good life alongside Vermont's heroin epidemic and America's cultural identity crisis. With Burlington hip-hop in a state of flux, Self Portrait are poised to be a major force here for years to come. Primal Union is proof that they earned it the hard way. 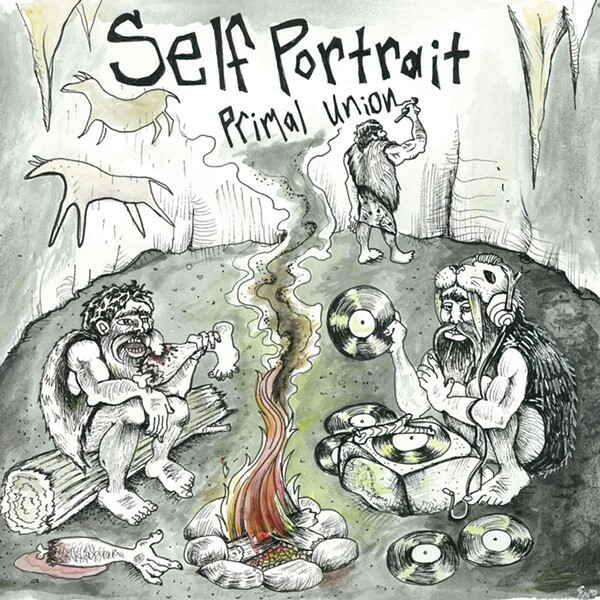 Primal Union by Self Portrait is available at selfportrait.bandcamp.com. Self Portrait appear at Higher Ground on Thursday, February 23, with Loaf Muzik, Jansport J and Vermont supergroup Cultural Chemistry.